Freshen and clean your washing machine and dishwasher! 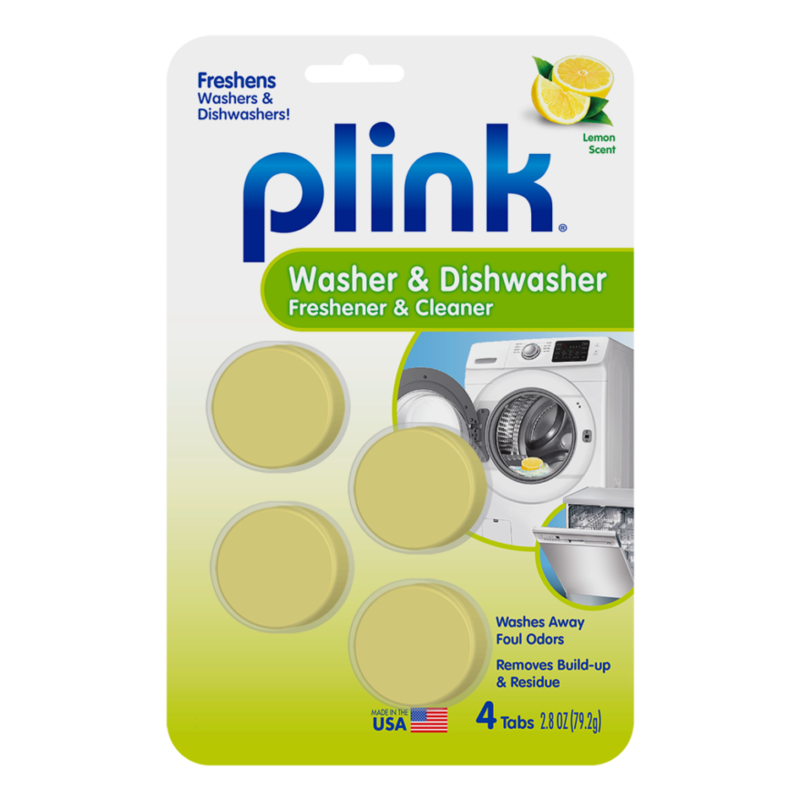 Plink delivers a fresh and clean boost to your washing machine or dishwasher. Our innovative fragrance technology washes away foul odors, leaving your appliance and room with lasting freshness. Quick and effective washing machine and dishwasher freshener. 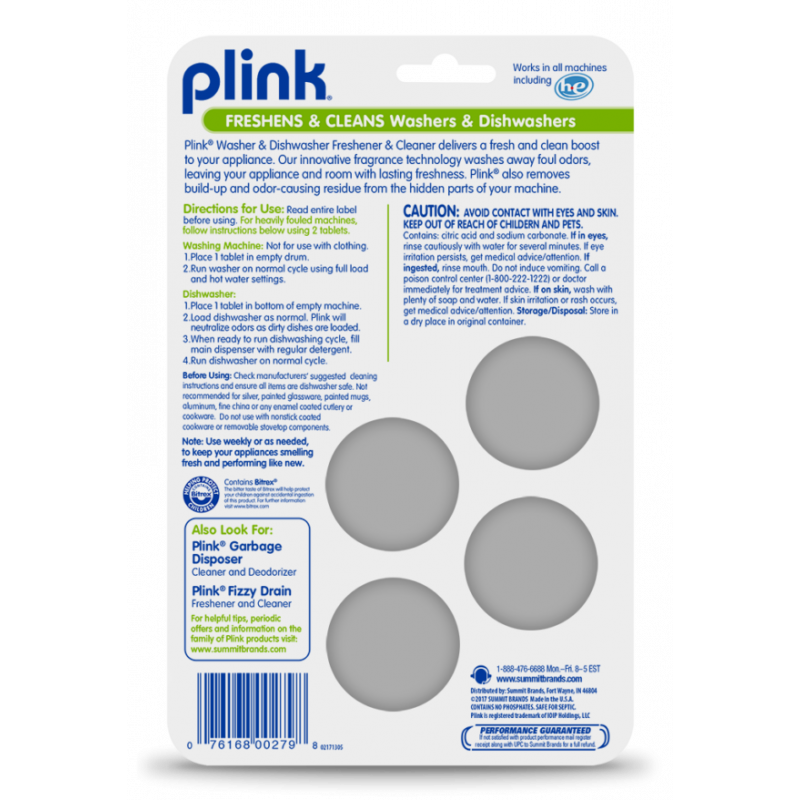 Plink also removes buildup and odor-causing residue from the hidden parts of the machine. Quick and easy way to freshen your appliances! Seems to work, unpleasant washer oder is gone after 1 use. Don’t know how long that condition will last. Great product. Leaves dishwasher smelling fresh and clean and no spots. Worked well in dish washer, have not tried in cloths washer as of today.. .